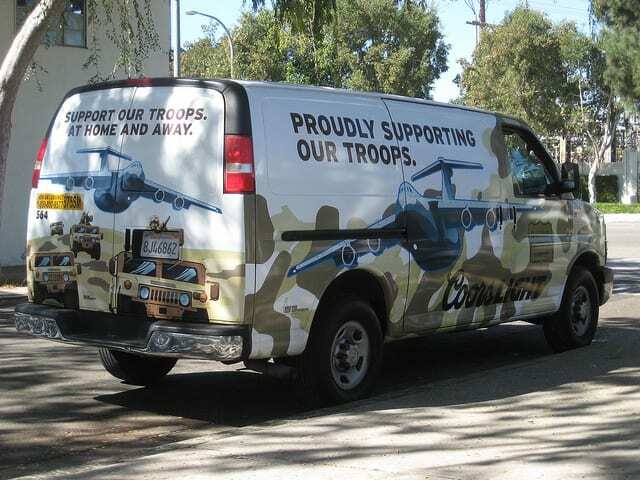 Coors proudly supporting our troops. We will, as Friedrich Engelswrote, make a transition to either socialism or barbarism. If we do not dismantle global capitalism we will descend into the Hobbesianchaos of failed states, mass migrations—which we are already witnessing—and endless war. Populations, especially in the global South, will endure misery and high mortality rates caused by collapsing ecosystems and infrastructures on a scale not seen since perhaps the black plague. There can be no accommodation with global capitalism. We will overthrow this system or be crushed by it. And at this moment of crisis we need to remind ourselves what being a socialist means and what it does not mean. Foreign battlefields are laboratories for the architects of industrial slaughter. They perfect the tools of control and annihilation on the demonized and the destitute. But these tools eventually make their way back to the heart of empire. As the corporatists and the militarists disembowel the nation, rendering our manufacturing centers boarded-up wastelands and tossing our citizens into poverty and despair, the methods of subjugation familiar to those on the outer reaches migrate back to us—wholesale surveillance, indiscriminate use of lethal force in the streets of our cities against unarmed citizens, a stripping away of our civil liberties, a dysfunctional court system, drones, arbitrary arrest, detention and mass incarceration. The tyranny empire imposes on others, as Thucydides reminded us, it finally imposes on itself. Those who kill in our name abroad soon kill in our name at home. Democracy is snuffed out. As the German socialist Karl Liebknechtsaid during the First World War: “The main enemy is at home.” We will destroy the engines of endless war and shut down the war profiteers or we will become the next victims; indeed many in our marginal communities already are its victims. You cannot be a socialist and an imperialist. You cannot, as Bernie Sanders has done, support the Obama administration’s wars in Afghanistan, Iraq, Libya, Pakistan, Somalia and Yemen and be a socialist. You cannot, as Sanders has done, vote for every military appropriations bill, including every bill and resolution that empowers and sanctions Israel to carry out its slow-motion genocide of the Palestinian people, and be a socialist. And you cannot laud, as Sanders has done, military contractors because they bring jobs to your state. Sanders may have the rhetoric of inequality down, but he is a full-fledged member of the Democratic Caucus, which kneels before the war industry and their lobbyists. And no genuine grass-roots movement will ever be born within the bowels of the Democratic Party establishment, which is currently attempting to shut down Sanders to make sure its anointed candidate is the nominee. No elected official dares to challenge any weapons system, no matter how costly or redundant. And Sanders, who votes with the Democrats 98 percent of the time, steers clear of confronting the master of war. Sanders, of course, like all elected officials, profits from this Faustian pact. The Vermont Democratic Party leadership, in return for his deference, has not supported any candidate to run against Sanders since 1990. Sanders endorses Democratic candidates, no matter how much they push neoliberalismdown our throats, including Bill Clinton and Barack Obama. And Sanders, carrying water for the Democrats, is the primary obstacle to the building of a third party in Vermont. War is a business. Imperial wars seize natural resources on behalf of corporations and ensure the profits of the arms industry. This is as true in Iraq as it was in our campaigns of genocide against Native Americans. And, as A. Philip Randolphsaid, it is only when it is impossible to profit from war that wars will be dramatically curtailed, if not stopped. No one sitting in the boardroom of General Dynamics is hoping peace breaks out in the Middle East. No one in the Pentagon, especially the generals who build their careers by fighting and managing wars, prays for a cessation of conflict. The capitalist class and its doppelgängers in the military establishment have carried out what John Ralston Saulcalls a coup d’état in slow motion. The elites use war, as they always have, as a safety valve for class conflict. War, as W.E.B. Du Boissaid, creates an artificial community of interest between the oligarchs and the poor, diverting the poor from their natural interests. The redirecting of national frustrations and emotions into the struggle against a common enemy, the cant of patriotism, the endemic racism that is the fuel of all ideologies that sustain war, the false bonding that comes with the sense of comradeship, seduces those on the margins of society. They feel in wartime that they belong. They feel they have a place. They are offered the chance to be heroes. And off they march like sheep to the slaughter. By the time they find out, it is too late. “War,” as Randolph Bournewrote, “is the health of the state.” It allows the state to accrue to itself power and resources that in peacetime a citizenry would never permit. And that is why the war state, like the one we live in, has to make certain that we are always afraid. Constant violence by the war machine, we are assured, will alone make us safe. Any attempt to rein in spending or expanding power will profit the enemy. The manufacturing of weapons systems and the waging of war is today the chief activity of the state. It is no longer one among other means of advancing the national interest, as Simone Weilpointed out, but has become the sole national interest. You ask me why the I.W.W. is not patriotic to the United States. If you were a bum without a blanket; if you had left your wife and kids when you went west for a job, and had never located them since; if your job had never kept you long enough in a place to qualify you to vote; if you slept in a lousy, sour bunkhouse, and ate food just as rotten as they could give you and get by with it; if deputy sheriffs shot your cooking cans full of holes and spilled your grub on the ground; if your wages were lowered on you when the bosses thought they had you down; if there was one law for Ford, Suhr, and Mooneyand another for Harry Thaw: if every person who represented law and order and the nation beat you up, railroaded you to jail, and the good Christian people cheered and told them to go to it, how in hell do you expect a man to be patriotic? The Wobblies once led strikes involving hundreds of thousands of workers and preached an uncompromising doctrine of class warfare. It went the way of the passenger pigeon. The Socialist Party by 1912 had 126,000 members, 1,200 officeholders in 340 municipalities, and 29 English and 22 foreign-language weeklies, along with three English and six foreign-language dailies. It included in its ranks tenant farmers, garment workers, railroad workers, coal miners, hotel and restaurant workers, dock workers and lumberjacks. It too was liquidated by the state. Socialist leaders were jailed or deported. Socialist publications such as The Masses and Appeal to Reason were banned. The assault, aided later by McCarthyism, has left us without the vocabulary to make sense of our own reality, to describe the class war being waged against us by our corporate oligarchs. And it has left us without the radical movements that, as Howard Zinnmade clear, opened up all the spaces in American democracy. We will regain this militancy, this uncompromising commitment to socialism, or the system the political philosopher Sheldon Wolin calls “inverted totalitarianism”will establish the most efficient security and surveillance state in human history and a species of neofeudalism. We must stop pouring our energy into mainstream political campaigns. The game is rigged. We will rebuild our radical movements or become hostages to the capitalists and the war industry. Fear is the only language the power elite understands. This is a dark fact of human nature. It is why Richard Nixon was our last liberal president. Nixon was not a liberal [personally]. He was devoid of empathy and lacked a conscience. But he was frightened of movements. You do not make your enemy afraid by selling out. You make your enemy afraid by refusing to submit, by fighting for your vision and by organizing. It is not our job to take power. It is our job to build movements to keep power in check. Without these movements nothing is possible. We must stop looking for our salvation in strong leaders. Strong people, as Ella Bakersaid, do not need strong leaders. Politicians, even good politicians, play the game of compromise and are too often seduced by the privileges of power. Sanders, from all I can tell, began his political life as a socialist in the 1960s when this was hardly a bold political statement, but quickly figured out he was not going to have a seat at the table if he remained one. He wants his seniority in the Senate. He wants his committee chairmanships. He wants his ability to retain his seat unchallenged. This was no doubt politically astute. But in this process he sold us out. This entry was posted in Current News and tagged class war, Economic Justice, imperialism, Militarism, socialism by TD Daniell. Bookmark the permalink.